Year 6 children who have been taking part in the INSPIRE project celebrated their work on Tuesday in a carnival parade at Chatham House. Building on the excitement and legacy of London 2012, INSPIRED Ways to Rio is a project to encourage children and young people to increase their participation in physical activity and sport, the arts, and personal development. 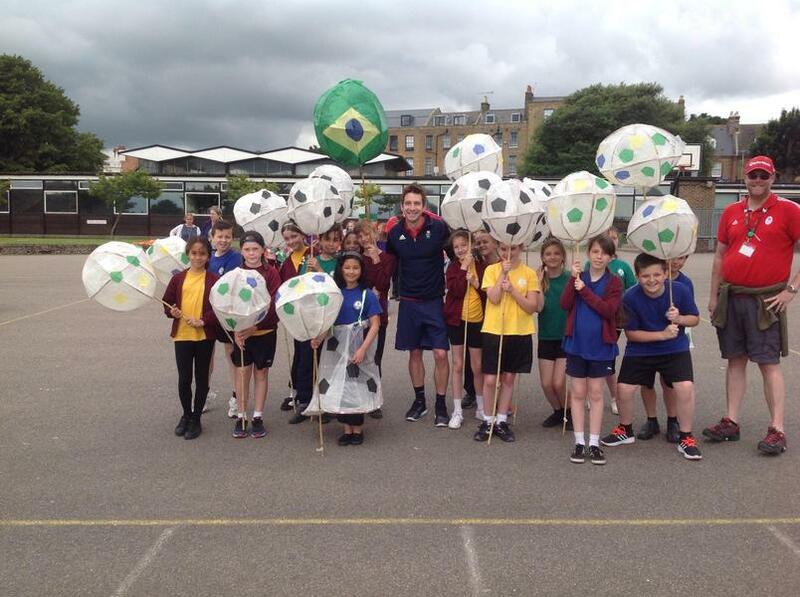 The children selected a theme to base the art around, which was Brazilian samba soccer! They completed their art work with the help of a workshop run by Animate Arts Company and then worked hard on the choreography ahead of the carnival day. All the children that took part behaved impeccably and did the school proud - well done!